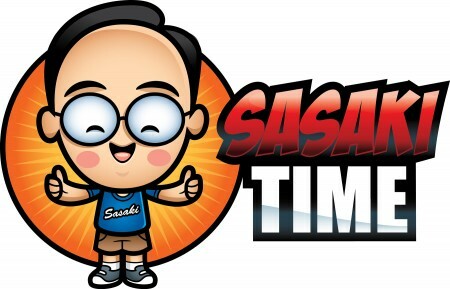 Sasaki Time: Food Review: 'The Simpons' Springfield U.S.A. Area Opens at Universal Studios Hollywood! 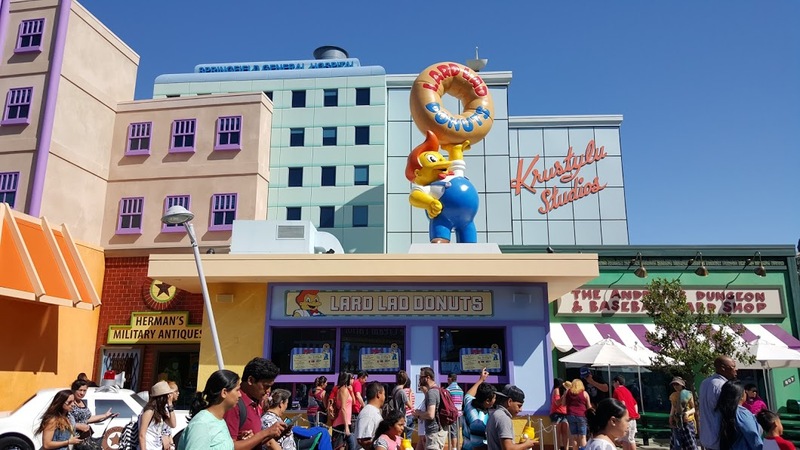 Food Review: 'The Simpons' Springfield U.S.A. Area Opens at Universal Studios Hollywood! Time to check out Springfield U.S.A., brought to life at Universal Studios Hollywood! 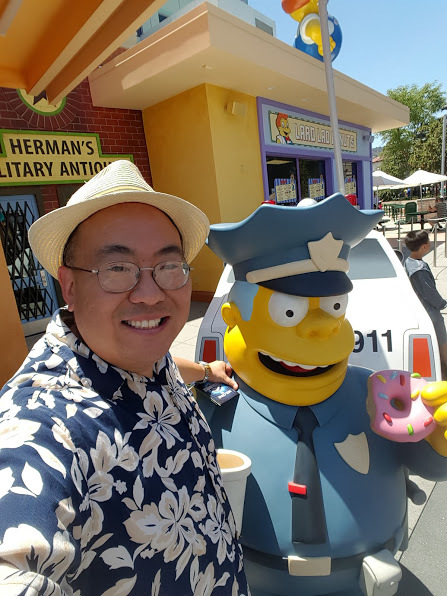 This is The Simpsons food court! 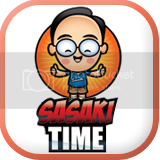 Let's see how good the food is and if it's worth your visit! The food court area is well themed with many of the restaurants all connected indoors with the vast majority of the seating upstairs in the air-conditioning! 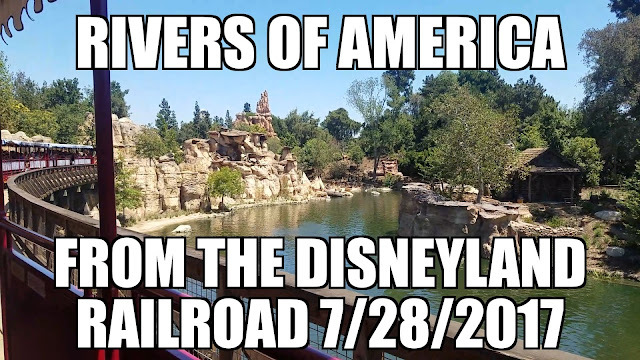 Well done and well though out Universal! Our first stop is the famous lad with the donuts! That's right Lard Lad Donuts! Lard Lad Donuts offers their famous massive donuts but also these larger than regular sized donuts with all sorts of various toppings! 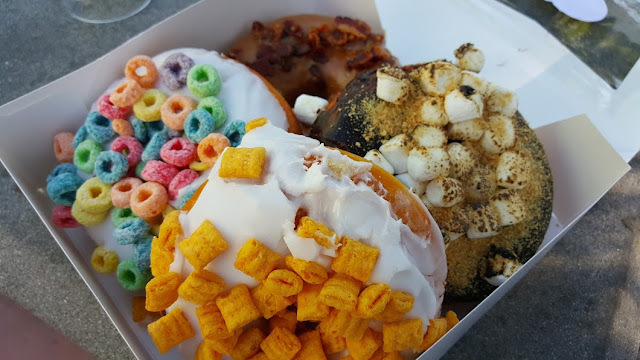 Seen here are the Cap'n Crunch, the Fruit Loops, maple bacon and the s'more donuts! 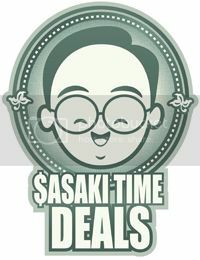 They sell four donuts for less than $12! The best one was the s'mores donut! 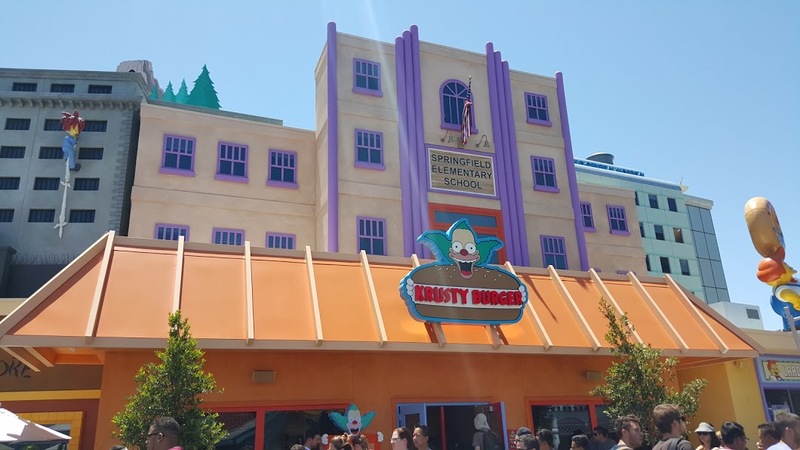 For lunch I stopped at Krusty Burger! This is going to be the busiest of all the major restaurants but the line moves quickly! 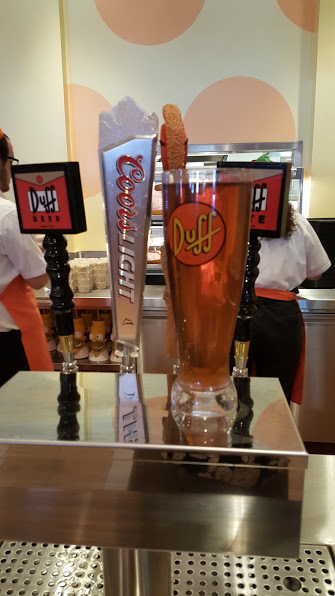 Duff is on tap! I got the Sideshow Bob foot long chili dog! 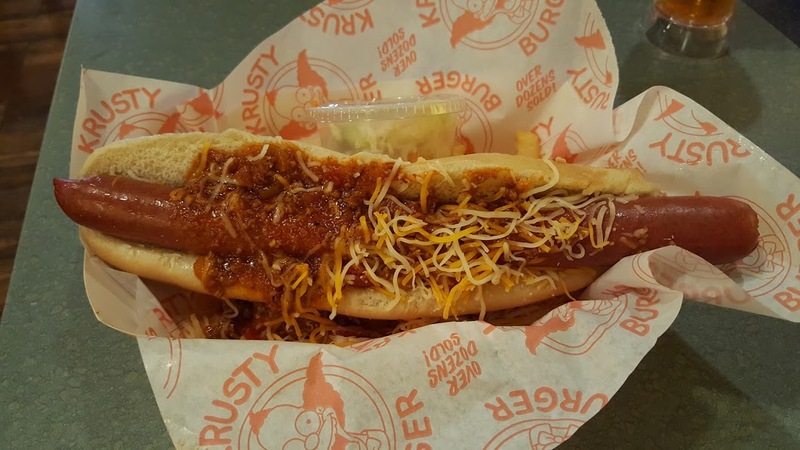 A 100% beef hot dog topped with chili and cheese and served with fries and cole slaw! It was really good! 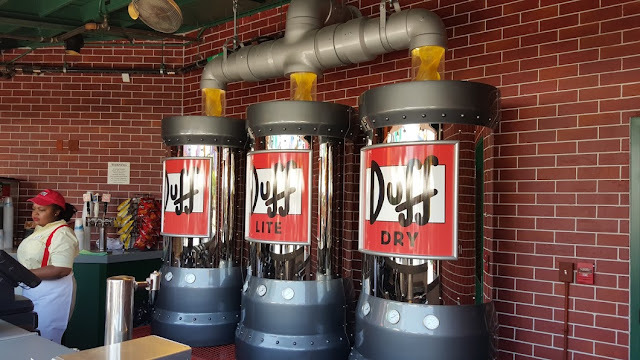 I washed down the hot dog with an ice cold Duff in a souvenir plastic cup! The beer is really good. 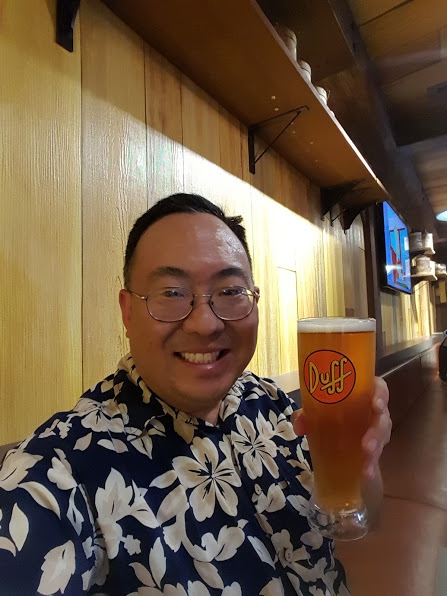 This is the regular Duff and it reminded me of a Blue Moon. My friend went to Cletus' Chicken Shack! Check out the awesome chicken and waffle sandwich served with slaw and fries! 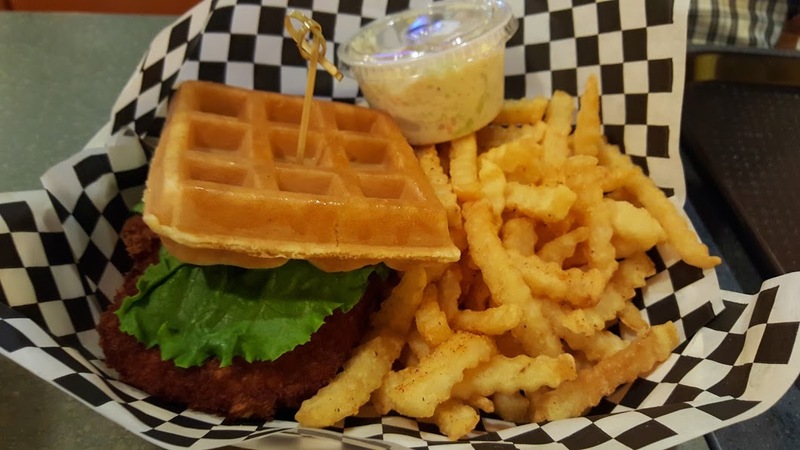 Some maple syrup on top of the waffle and the mayo is even mixed with some maple syrup! 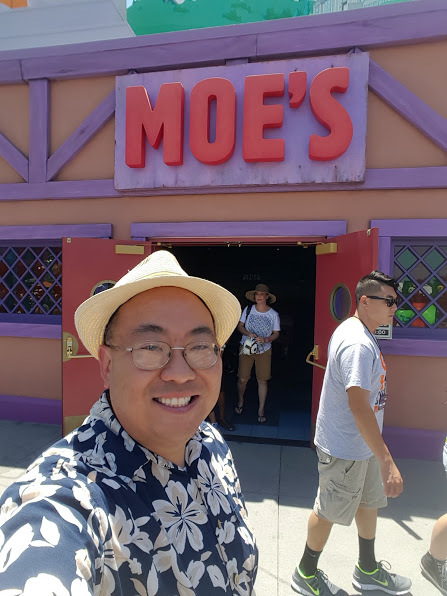 And yes there is a Moe's! 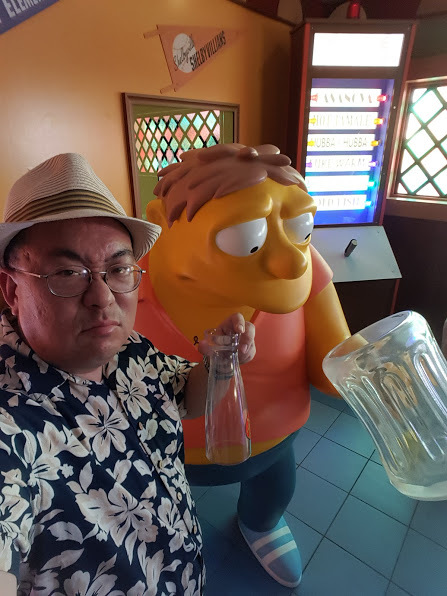 Barney and I were sad that we were out of beer! Oh and yes the Love Machine behind us works! 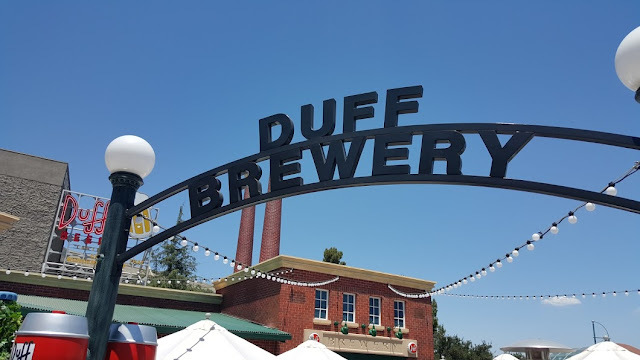 Across from Moe's is the Duff Brewery! You can get Duff in Regular Duff, Duff Lite or Duff Dry! I have to come back to try the other two! 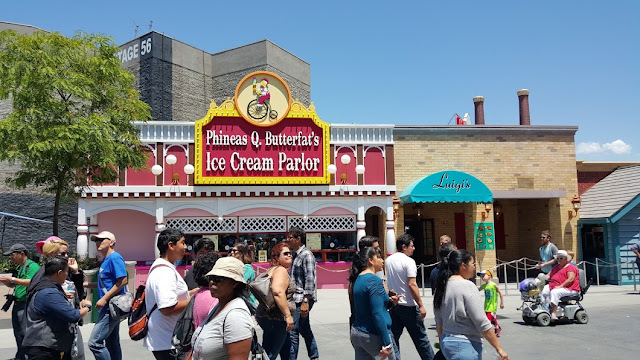 Next to the Brewery is Luigi's and Phineas Q. Butterfat's Ice Cream Parlor! This is the Mr. Teeny's Banana Delight! 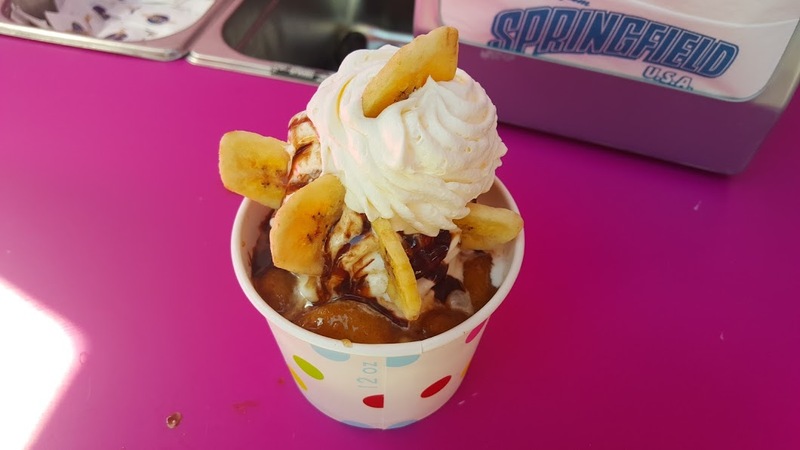 Bananas with banana foster sauce with soft serve vanilla and whipped cream! Amazing dessert creation! This is the Brain Freezin' D'oh-Nut Sundae! 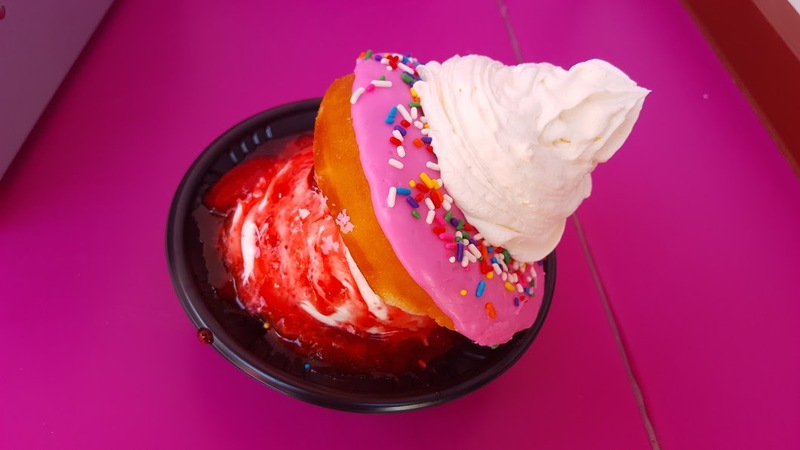 You get a split pink sprinkled donut with vanilla or chocolate soft serve and a choice of topping I went with the strawberry sauce! So good on a warm summer day! Lots of great food options here! Hope to be back soon to try more food items! 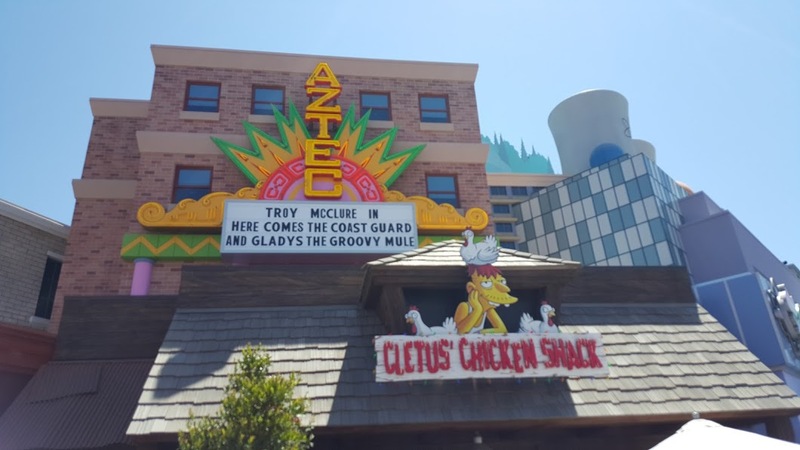 Hope you enjoyed this look at some of the food offerings at Springfield U.S.A. at Universal Studios Hollywood!